Bilona Ghee Pathmeda Pay using Debit/Credit card or net banking. Our International services coming soon..
GavyaMart Pure Bilona Desi Cow Ghee is form the method used in previous yugas, is to make curd from whole milk. Then churn it to separate makhan from it and then boil it to get Ghee. This is called whole milk ghee and it is the costliest but has all medicinal properties of Desi cow’s milk. To manufacture 1 kg of such ghee, it takes approximate 35 liters of Desi cow milk. The only bi product is chaas (no milk is left as it is converted into curd). So this method is expensive. Increases the digestion and absorption of nutrients. Increases one’s energy, vitality and immunity (Ojas). Detoxifies the body (widely used in cleansing therapies). Reduces Pitta and Vata dosha. Strengthens and nourishes the brain and nervous system. Enhances the health properties of herbs when taken together. Healthy alternative to butter and oil and can be added to any dish. Contraindications: Ghee is not recommended for individuals with a strong Kapha imbalance such as high cholesterol or obesity. In general, it is not recommended to consume more than 3 tsp (1 Tbsp) daily for all body types unless otherwise stated. General Directions: Desi Cow Ghee can be added to any dish to enhance digestion and absorption of nutrients. Add 1 tsp to each meal or use ghee in replacement of butter or oil in a recipe. 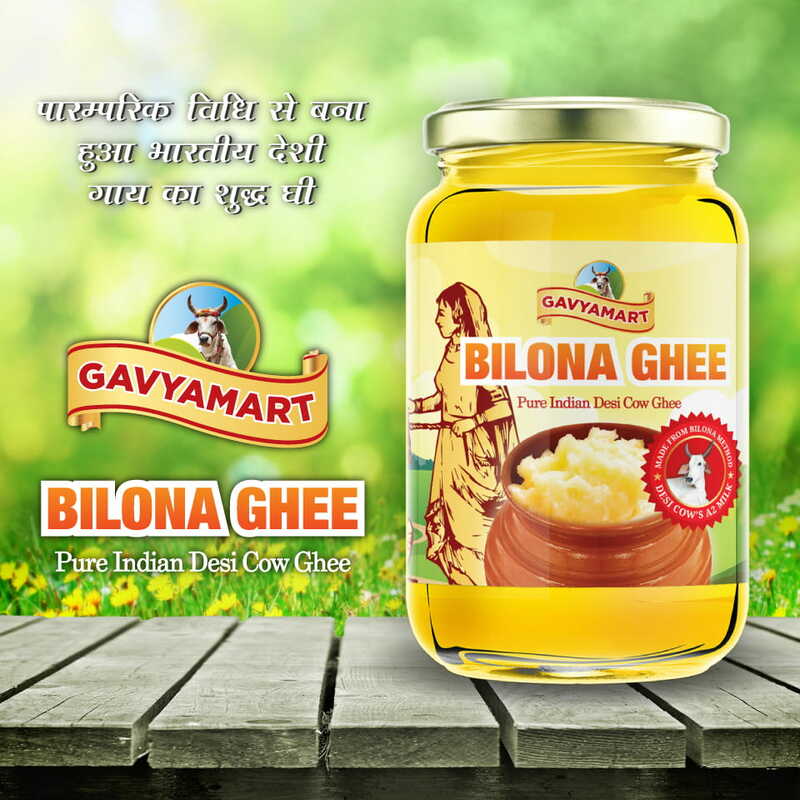 GavyaMart Pure Bilona Desi Cow Ghee is form the method used in previous yugas, is to make curd from whole milk. Then churn it to separate makhan from it and then boil it to get Ghee. This is called whole milk ghee and it is the costliest but has all medicinal properties of Desi cow’s milk. 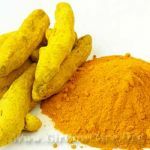 Turmeric (Curcuma longa) is a superfood known for its anti-inflammatory properties. Gavyamart Pure Desi cow ghee from Indian breed cows by shree Nandanvan Godham Mahatirth. I ordered Bilona Ghee on 6th Feburary, 2015. Bilona ghee is prepared by churning the curd of milk of Gaumata and then heating the cream obtained from it, rather heating the cream obtained directly from milk. In this process around 30 KG of Curd is used to make just 1 KG of ghee! But this Ghee is completely different from other types of Ghee. It has all the properties as described in Vedas and Ayurvedic Shahtras. It is the essence of milk. If we start discussing the magical properties of such a ghee, it will take days to finish the discussion. Go to the following link http://easyayurveda.com/2014/10/08/health-benefits-ghee-complete-ayurvedic-details/ The Ghee reached my home on 17th Feburary, 2015. The ghee was packed in a steel box. Overall, Ghee is excellent. I recommend this product to anyone who wants to improve their health. 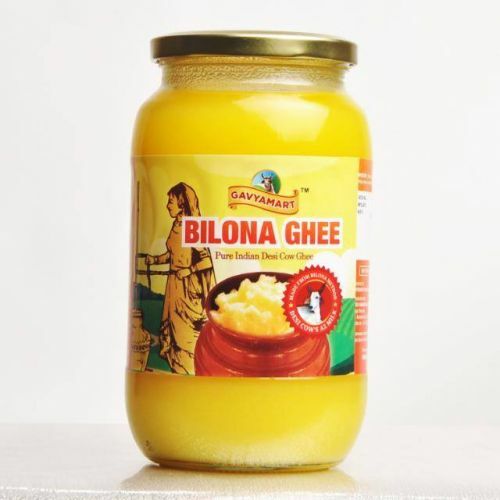 How do i get this Bilona ghee in Delhi? I use already patanjali cow Ghee.. But i want to try this Cow Ghee.it&#039;s really good for all femily parson helth. Resp sir. Do u supply, this ghee 500 ml? पथमेड़ा घी के दर्शन मुझे राधा कृष्ण की लीला स्थली वृन्दावन में गौसेवक राठौर सिंह जी की दुकान पर 4 वर्ष पहले हुए थे. घी का दाम उस समय कुछ ज्यादा लगा था क्योंकि आदत पतंजलि के 450/- वाले घी की पड़ी हुई थी. लेकिन, एक बार पथमेड़ा घी और गौ अर्क, गंगा शैंपू, विविध साबुन , पथमेड़ा टुथपेस्ट एवं कुछ औषधियां वृन्दावन से मेरे अम्बाला स्थित पर क्या आए .. मैंने किसी और संस्था के गौ उत्पादों पर विश्वास नहीं किया | और.... गौ अर्क ने तो मेरे दोनों घुटनों का दर्द 15 दिनों में ही समाप्त कर दिया. (यह बात मैं गोपाल को साक्षी मान कर लिख रहा हूँ) .... पिछले 4 वर्ष में पथमेड़ा घी, मंजन,हर्बल शैंपू, टूथपेस्ट, इत्यादि उत्पादों से अनेक बन्धु बान्धवों को जोड़कर स्वयं को धन्य कर चुका हूँ. अम्बाला के आसपास पथमेड़ा गौधाम का कोई आउटलेट न होने के कारण गाय के घी की व्यवस्था करने में कठिनाई तो होती है, पिछले दिनों लुधियाना के गोबिन्द धाम जाना पड़ा था. .... किन्तु सौ बातों की एक बात.... मैं पथमेड़ा गौधाम के प्रति कृतज्ञ रहूंगा. जय गौमाता ! जय गोपाल ! I am using gavyamart products in my regular life. these are excellent products. ghee, toothpaste, soap, milk, gau ark etc. i feels like a person who are living in vedic yug as rishi muni. i am recommding these products to all the person who want to be aarogye nidhi in his/her soul. The quality of the product is just outstanding. I think if you are not preparing at your home, it is impossible to find such purity in any other brand. Thank you to all Pathmeda team, great going. Keep it on. 16 JUNE 2017, I have purchased many ghee for foof ,but no one as Bialona Ghee, jai Gau mata. Please provide 500 ML package of this ghee so that customers can try it first before ordering 1 KG. As it&#039;s very costly as compared to any ghee available in market.Thanks. Please provide bilonaa ghee. I want to purchase 2 kg. Its out of stock today. Sadho! I live in Oman and i ordered Bilona sudh desi cow ghee online and delivery I got in Delhi.It is excellent quality of ghee and better than patanjli ghee which is not the desi cow ghee.The Patanjali ghee is cow deshi ghee and not desi cow pure ghee.I recommend Bilona pure desi cow ghee to all and it is better to pay more instead of buying not pure desi cow ghee. Pathmeda Godham one of the Best place in earth to visit and see how Cow&#039;s care been taken.. 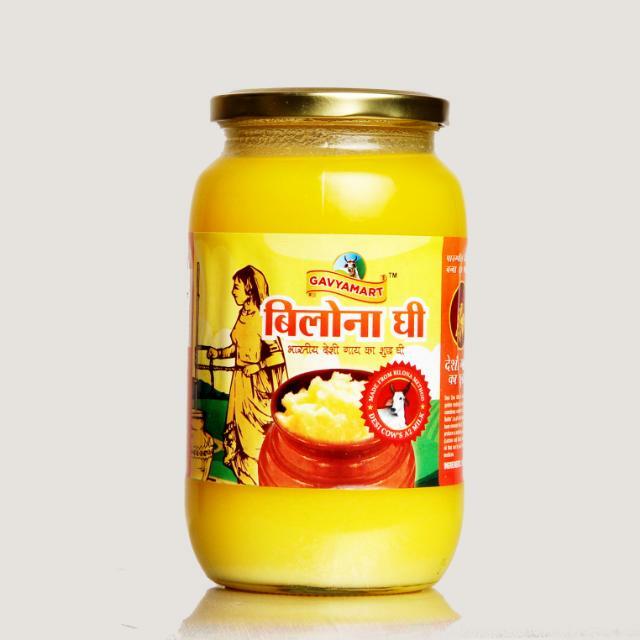 This Bilona Ghee is manufactured by Nandanvan Gaudham Mahatirth. Nice ghee. The best Ghee at all. Good Wishes for team Pathmeda. राधे राधे।। जै जै सरकार की।। It was really verygood. Ghee is good and the container is also good. But when we weighed at home we found it is only 850gms and not 1kg. Though i received it last week I have not yet opened it as my previous months bilona ghee is still going on and we liked it hence repeated the order.your gomay kande are also good for daily agnihotra.waiting for wheat grass powder which is out of stock. Pranam. The ghee was like home made and Her quality, smell and taste like good. I like the product and I am happy with the product.thank you for prompting me. Dear Gaya mart team, yes I received my pack of 1 kg bolna ghee, and started using the same from day 1, I know it is expensive but there is no body in this country giving this best quality ghee of cow, there are certain peoples claim that they are best but I am sure that there is no one in front of you giving this purity, Thanks to Gaya Mart, I am also looking turmeric powder organic n your other organic products to buy please keep advising me whenever they are available . Thanks once again you are the best I will recommend the same to my other relations n friends, by the way where is your plant.